Why Back to School Anxiety is such a big deal, and what to prioritize to get through it! 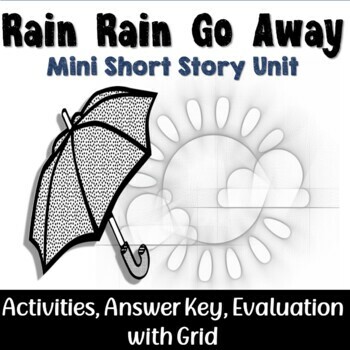 These are some activities that were presented to us at a Professional Development session a few years ago. We played them but we were not given any handouts to go along with them. I made notes of the activities and then gave them to the teachers in the group so they could use them in their classrooms. As part of our curriculum, we are supposed to provide daily P.E. Since we don’t always have gym time available, these activities help to make it possible to do P.E. in the classroom. I hope you enjoy trying them out. Here are some of my other classroom management products. 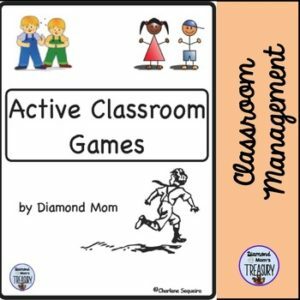 Check out all my Classroom management products here. Thank You for your purchase of this product. I hope you find it helpful. This product is for single use in one classroom. If you wish to share, please purchase multiple licenses or direct others to purchase their own copies at my store. Leave feedback on this item to earn credit toward future TpT purchases! I value your feedback greatly! It gives me the information I need to continue creating high-quality products for your classroom! Be the first to know about my new products and freebies! Look for the green star near my store name and click it to become a follower. You will receive customized e-mail updates about my store!